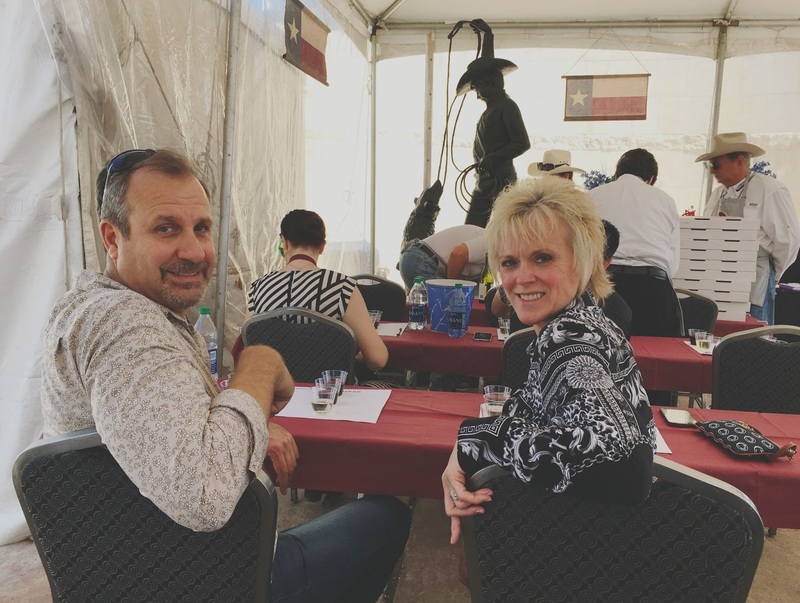 This year, I had the great fortune of being a part of the 2016 Houston Livestock Show and Rodeo, as a member of the Wine Garden Committee. Raise your hand if this surprises you! 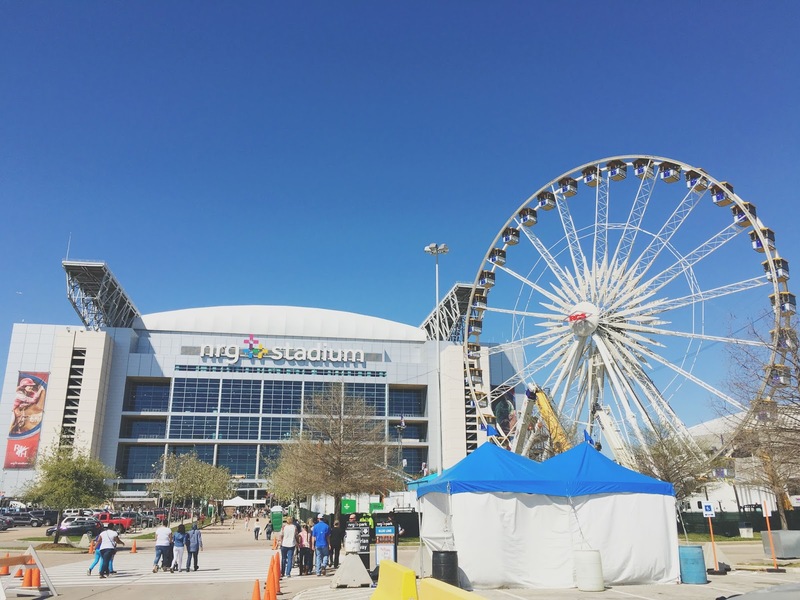 As such, the Houston rodeo for me was completely different from years past (you can read about 2014 here and 2015 here), having had a more behind-the-scenes experience of everything! Pictured above was my home away from home for the greater part of March. 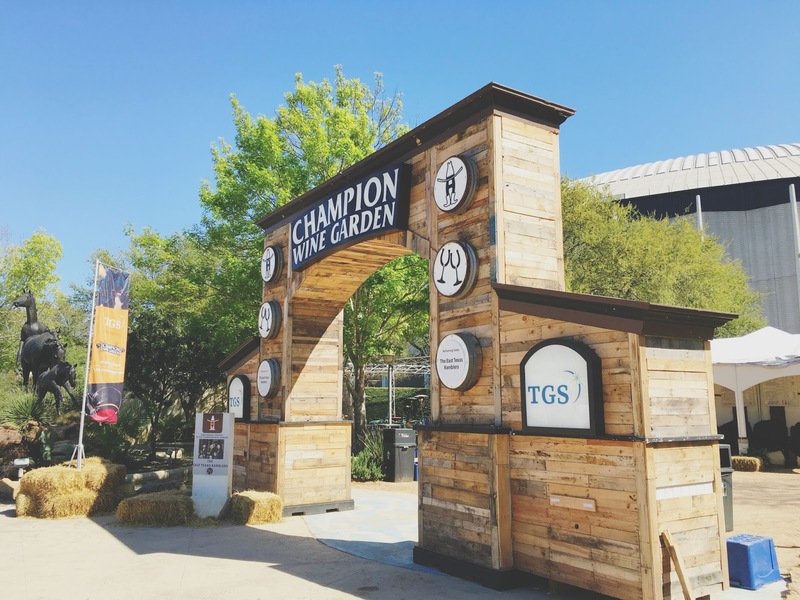 If you have a chance next year, I strongly encourage you to visit the Houston Livestock Show and Rodeo Champion Wine Garden. The grounds are beautiful, the live music is so awesome, and the selection of wine is outstanding! 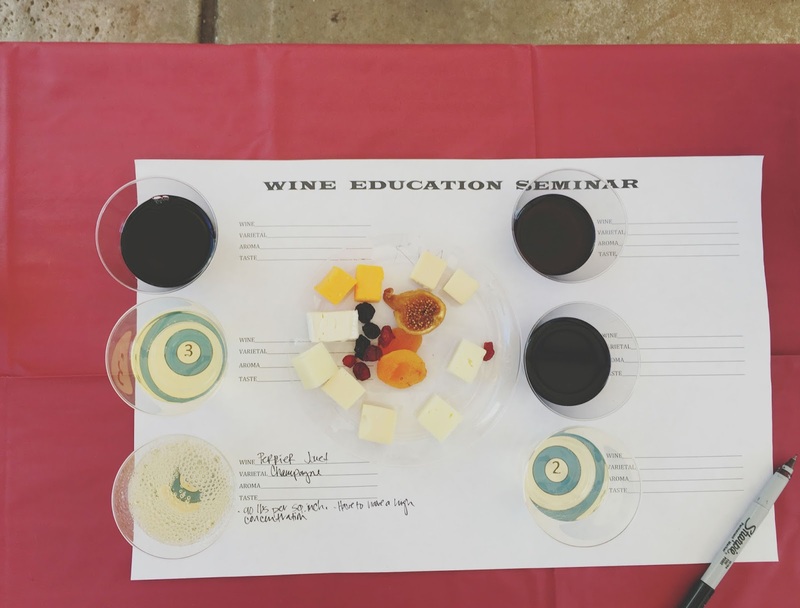 One really cool thing the garden offers is a series of different wine seminars you can sign up for. 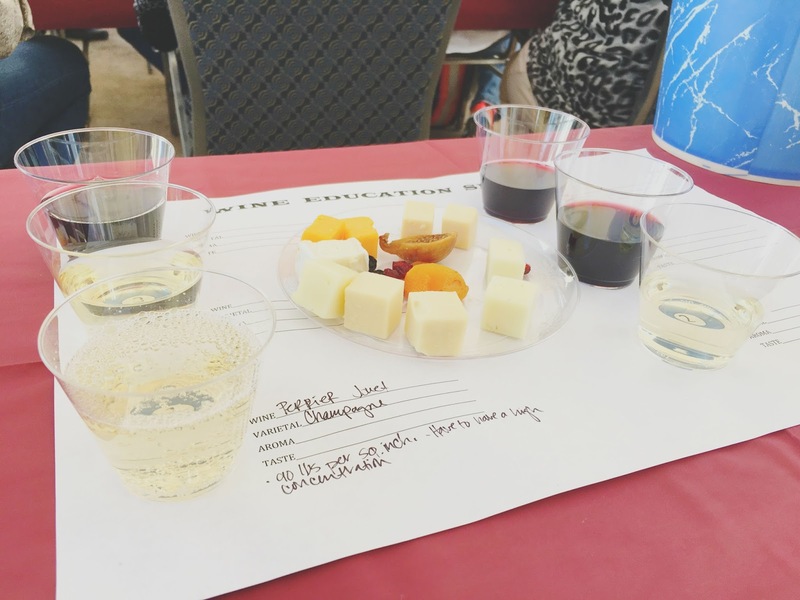 My mom, dad, Jon, and I decided to take the wine and pizza pairing seminar, and I am so glad that we did! When we got there we were presented with a place mat to take notes on, 6 different glasses of wine (3 reds, 2 whites, 1 bubbly), and cheese. ^ Look how adorbs my mom and pops are. Yes, I'm wearing the same exact outfit I wore in last week's webisode, it's called fashion, look it up. 1) How to open a bottle of champagne. All along I thought I was doing it right. Twist the wire, take the cage off the top, use a towel, hear that light pop, and pour. Au contraire, you want to keep that cagey thing on top when you open champagne! I never knew! The reason for this is sometimes there's so much pressure in a bottle of champagne, that when people open it without the cage (which gives you a better grip), the bottle shoots backwards and explodes everywhere. While I'm sure this can be very funny, it's probably *a little* dangerous. 2) Sweet wine + spicy foods = the nectar of the gods. We were poured an incredibly sweet glass of 14 Hands Moscato, and almost everyone in the room crinkled their nose at it. Dry wine is having a moment in the sun, I get it, and I'm on board. We were advised to put some crushed red peppers on our pizza, take a bite, and drink some dry red. The combination was horrible. We were then instructed to try the crushed red pepper pizza with the sweet moscato, and the result? a b s o l u t e . h e a v e n .
So when you eat spicy food, like Thai or Vietnamese, a crisp sweet wine will be a divine partner! Oh and about the pizza. 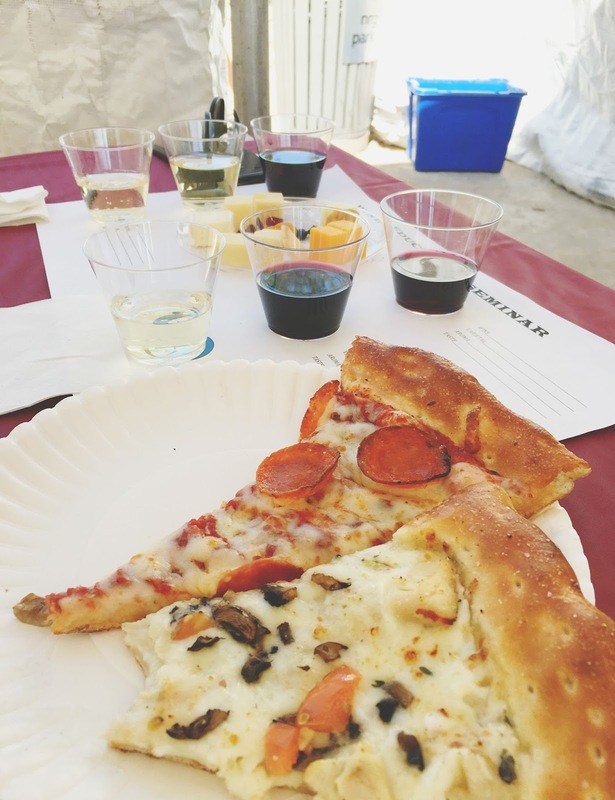 They offered us two kinds of pizza to try with our wines, a pepperoni and a chicken margarita pizza. So I was like, meh, I'll have some meat I guess. I told them it was seriously fine, I didn't need any pizza, I could grab some food later. A wine and wine pairing would be juuuust fine with me. But they were so kind and ran and got me two slices of cheese from the pizza place located just outside the wine garden. Which y'all? That pizza is no freaking joke, and I was one happy camper! 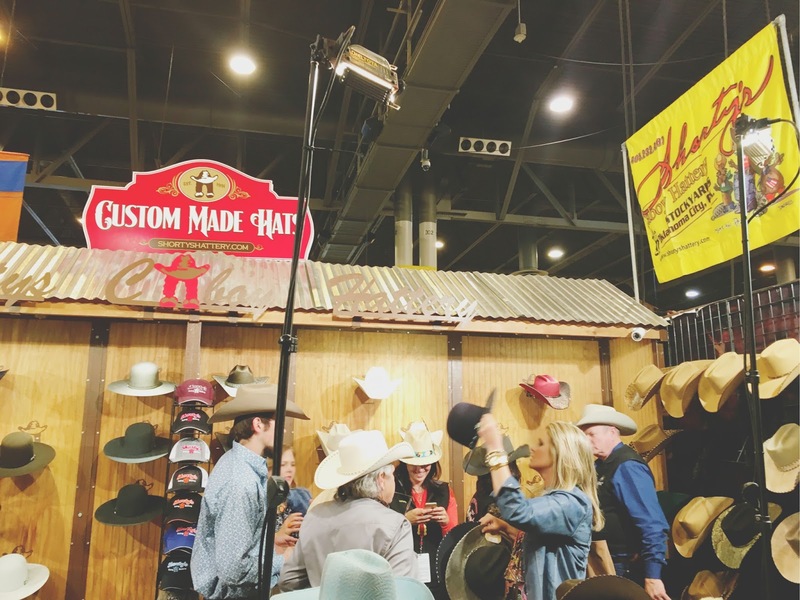 After our awesome seminar, we walked around for a bit, checking out the rodeo art, livestock, and hats. 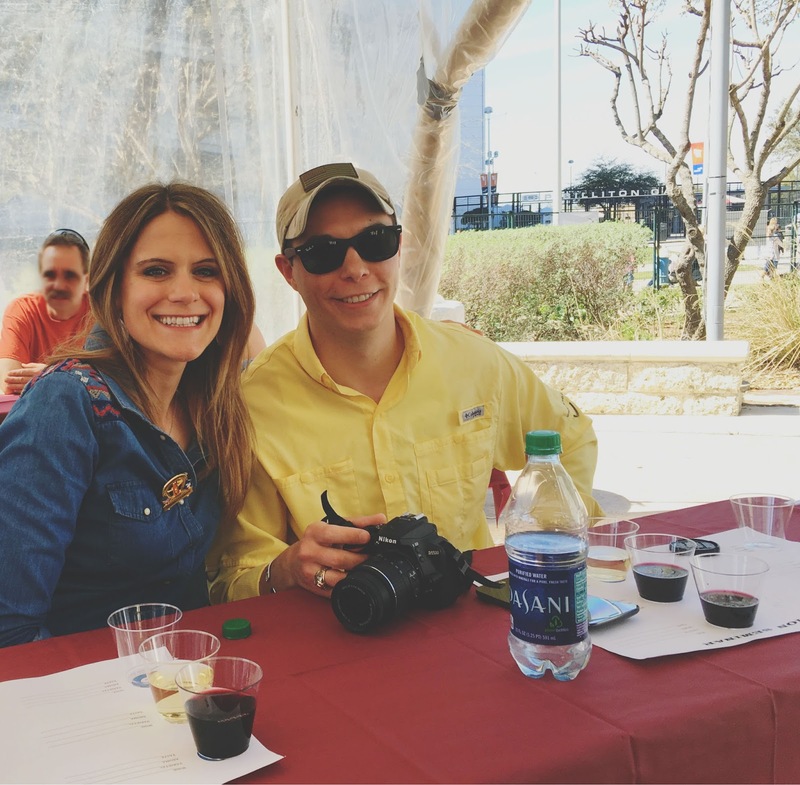 Most of my time spent at the Houston Livestock Show and Rodeo this year was volunteering, and next year I hope to have a little more room on my plate to visit as an attendee (and eat all of the awesome ridiculous food)! 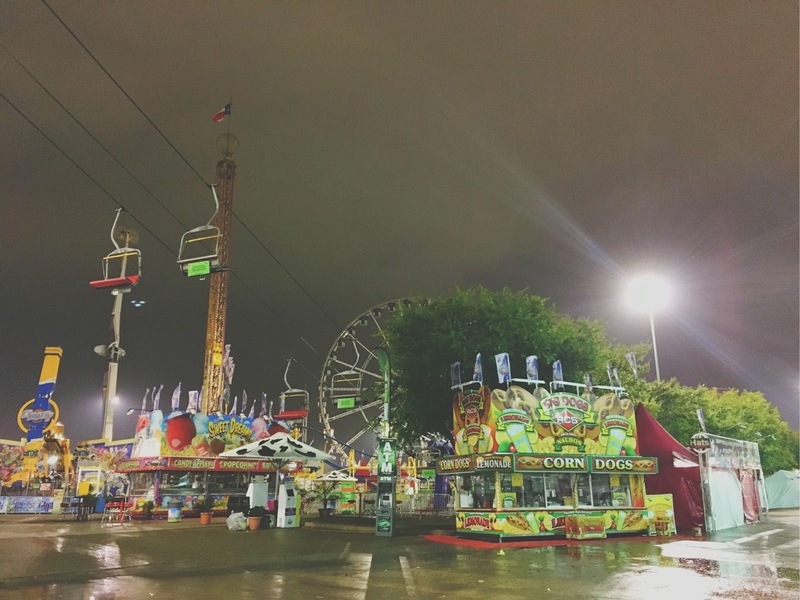 Also, how creepy/cool is this photo of the carnival at night? 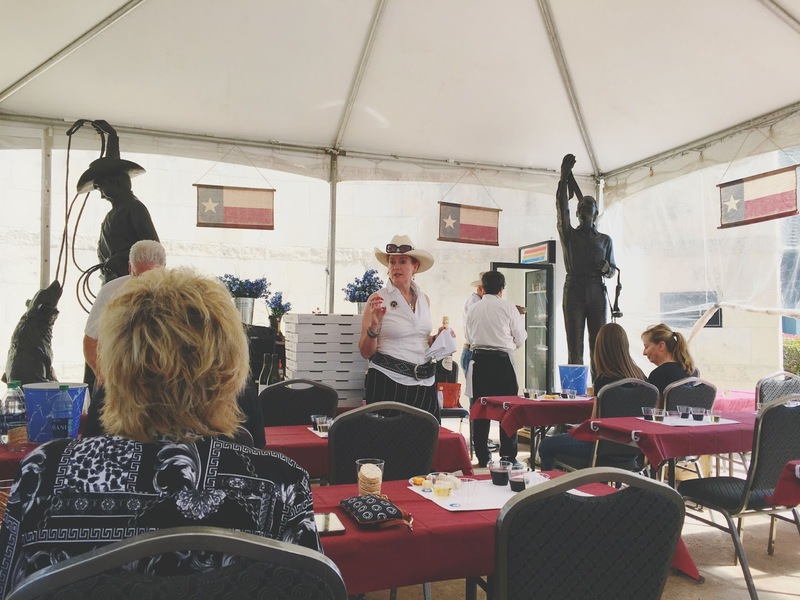 Working the Houston Livestock Show and Rodeo Champion Wine Garden was so much fun, and I 100% cannot wait to do it again next year. If you are interested in volunteering, there are almost 200 committees to choose from, and I cannot recommend it enough! It's a super fun way to give back to the great city of Houston and experience all of the excitement that comes with it!